Everything about your business is growing—personnel, revenue, and even the facilities. 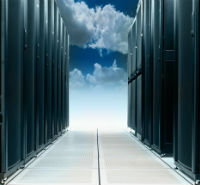 Can your current enterprise Web hosting infrastructure keep up? It seems that every enterprise hosting provider promises uninterrupted, continuous uptime, but few deliver. This guide will help you make the best decisions for your business when it comes to choosing the most reliable enterprise website hosting services. Price is one of the first factors most of us look for when comparing virtually any product. It's no different with enterprise hosting services. Although it may seem prudent to go with the cheapest option, that may not give you the best value for your dollar. Make sure you’re comparing the cost versus services offered when looking at different hosts. Not all Web hosting companies—or the services they provide—are created equal. While some may offer unmatched shared plans, they may not have the resources needed to keep up, should your company start growing. Conversely, there are other companies that have fantastic, dedicated plans with robust features, but you may not need or want to pay for all the bells and whistles. Make sure you research a hosting company's specialties, or what sets them apart from others. This will help you make a sound decision based on the needs of your company. Customer reviews and product descriptions can help pinpoint the strengths and weaknesses that each enterprise Web hosting service offers. If your company uses tons of resources to keep your site up and running—like rich content, streaming media, or ecommerce options—you don't want to skimp on services that help your site run smoothly. Conversely, avoid underselling your technical needs. Going with a host that lacks the services your company needs, like WordPress hosting, unlimited data transfer limits, ecommerce capabilities, and more could put your site and the business in danger of falling behind the competition. From time to time, technology will fail you. That’s when you need a knowledgeable tech support staff who can assist with any hosting-based emergencies. If this team is not available quickly, you lose revenue and disappoint a lot of customers and clients. Additionally, consider when tech support for each hosting service is available for emergency troubleshooting. Site failure can happen at any time of the day or night, so be on the lookout for companies that offer round-the-clock, 24/7 support. Moreover, choosing a service that can field any questions you may have via phone, email, or social media can make a real difference in the long run. Companies grow. Technical expansion is a possibility that you need to consider when picking an enterprise cloud hosting service. Ask yourself if a hosting company has proper Dedicated Server or VPS contingencies in place, or if things like account upgrading and transfers are tasks they can easily accommodate as your company continues to grow in size. Making accommodations for change helps alleviate the growing pains that can come with expansion. To learn more about choosing the right website host, or figuring out how to find the best solutions for all of your enterprise hosting issues, check out our FAQ page.